WASHINGTON—Jose Ramirez and Marijo De Guzman of Ferndale, Wash., carry the weight and sorrow of their son’s death in their faces and demeanor. The couple is struggling to come to terms with the way six-year-old Daniel died. 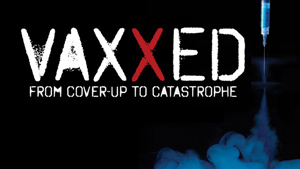 They remain convinced that a series of vaccines administered to their son led to his death. The couple said that about two weeks after receiving the shots, Daniel started complaining about headaches and stomach pains and they treated it with children’s medicines and Ibuprofen. When the symptoms got worse with Daniel walking unbalanced, drooling, and being unable to keep any food down, they decided to take him to the emergency room. Hospital officials said they didn’t have the means to treat Daniel and he and his mother were airlifted to Seattle Children Hospital in Seattle 90 minutes away. Daniel was in the hospital for two weeks and died while there. Ms. De Guzman said she was able to wash her son, give him a bath and dress him in his Ninja Turtle outfit. The grieving couple were in Washington, D.C., on the weekend of March 30 to support the efforts of other parents, scientists, journalists and others who are gravely concerned that the pharmaceutical companies, the medical community, scientists and the government are hiding the truth of the effects of vaccines on their children and are demanding answers. 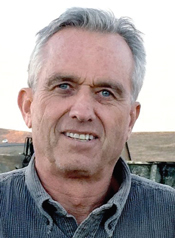 More than 275 medical doctors, individuals with doctoral degrees, scientists and organizations, submitted a letter to President Trump asking him to form an independent Vaccine Safety Commission.In January there was a stir when Robert Kennedy, Jr., a vaccine safety advocate, told the media President Trump asked him to chair a commission on vaccine safety. The Trump administration said later that the two men met but no appointment or commission was in the offing. Those gathered in the press conference are demanding the truth from pharmaceutical companies and doctors about the ingredients of vaccines, the dangers inherent in contaminated vaccines and the impact of such vaccines on children. Investigations into the ingredients have revealed neurotoxins, anti-freeze, mercury, aborted fetal tissue and a variety of cancer-causing materials, among others, doctors and scientists told the audience. But several speakers, including moderator Del Bigtree, spoke of the fierce pushback by big pharmaceutical concerns with deep pockets and millions to lobby Congress who they say have effectively been silenced. Writing about these stories are often career killers, he said. 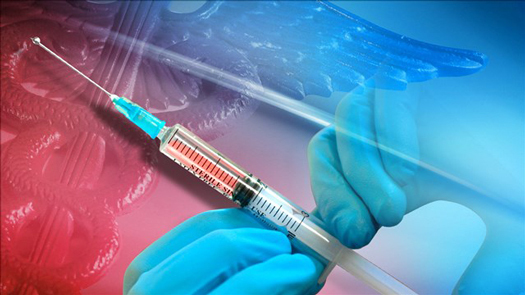 The letter sent to the president cites two recent Centers for Disease Control (CDC) whistleblowers’ actions as clear examples of why a vaccine safety commission is justified and needed. 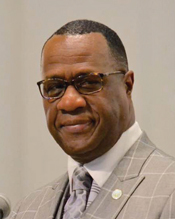 Student Minister Tony Muhammad, Western Regional Minister of the Honorable Minister Louis Farrakhan and the Nation of Islam, said the Nation has been involved in the vaccine movement for nearly a year. “A group met with more than 80 members of Congress. But the Black lawmakers are weak. They have taken a lot of money from the pharmaceutical industry,” he said. “Elijah Cummings sits on oversight and Dr. William Thompson is begging them to bring him in to testify but they won’t.” Dr. Thompson is a CDC whistleblower who charges that the CDC dumped research findings that some vaccines were linked to increased cases of autism in Black male children. Mr. Ramirez and Ms. De Guzman cautioned parents to ask questions and be persistent.